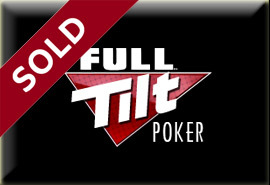 It appears all of last week’s talk about Chris Ferguson single-handedly holding up the sale of Full Tilt Poker to Groupe Bernard Tapie (a deal being brokered by the United States Department of Justice) was off the mark, as it came to light today that player loans from Full Tilt Poker to certain owners, sponsored players, and other individuals, is actually the main sticking point. In an interview with Gaming Intelligence, Groupe Bernard Tapie lawyer Behnam Dayanim told the outlet that after an audit of the Full Tilt Poker books they uncovered some $10 million to $20 million in unpaid loans made by Full Tilt Poker to a number of well known poker players, including Phil Ivey, David Benyamine, Erick Lindgren, Mike Matusow, and Barry Greenstein (Greenstein being the one player on the list not sponsored by Full Tilt Poker). Dayanim stated that GBT is attempting to settle with these debtors before any deal is reached to purchase Full Tilt Poker in an effort to avoid having to file multiple lawsuits after purchasing the company –which would likely result in lengthy court cases and exorbitant attorney fees. When asked by PokerNews.com about these “other liabilities” Dayanim stated he was “not really at liberty to talk about that”, but that Full tilt Poker’s financial situation “is worse than they had anticipated”. “The analogy that I like to use is that if you think of the target as a shiny apple. At the start of the diligence process, you expect that there are going to be some bruises on that apple, but after you finish your diligence, the problem here is that there are more and deeper bruises than we had anticipated. The professionals’ obligations to the company are a larger and deeper bruise than we had hoped, and we have had less success than we had hoped in trying to brush off that bruise. You can read more of the PokerNews Interview here [Interview with Behnam Dayanim] or check out the original Gaming Intelligence here [Phil Ivey Blocks Full Tilt Sale to Tapie]. This entry was posted on Friday, February 3rd, 2012 at 9:41 am and is filed under Poker News. You can follow any responses to this entry through the RSS 2.0 feed. You can leave a response, or trackback from your own site.